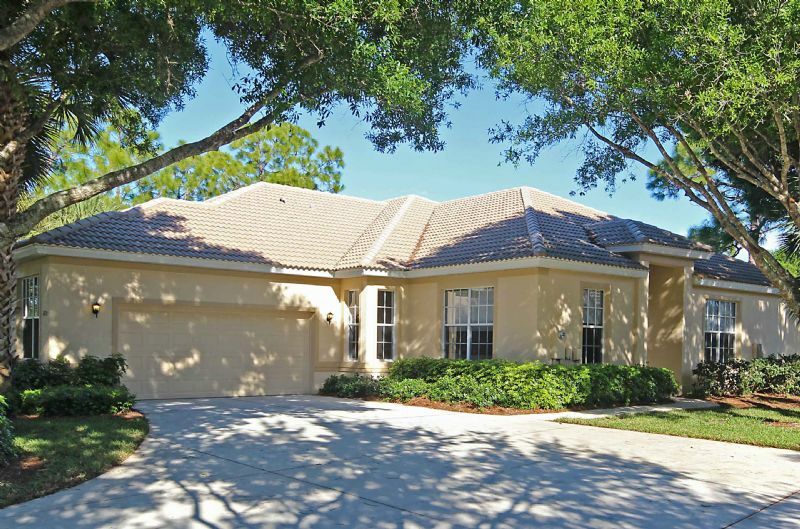 Welcome to your 2 bedroom plus den vacation villa in Autumn Woods; one of North Naples most sought after 24 hour guard-gated communities. Newly remodeled with brand new furnishings, the living room features comfortable seating and a large wall-mounted flat screen TV. The master bedroom suite offers a king-sized bed and the bathroom has twin sinks plus a step-in shower and soaking tub. The guest room has twin beds. The large open kitchen is fully equipped with stainless steel appliances and every convenience. The dining area will comfortably accommodate service for six and there is also a breakfast bar. Community amenities include a large outdoor heated pool, hot-tub, fitness room, community room, tennis, basketball and more. Autumn Woods is conveniently located close to shopping restaurants, beaches and major roads.